Updated Monday April 11, 2016 by Saskatoon Minor Basketball. Hello Friends of Basketball! Please see below for a special free invitation for the first-ever kick off party for Hoops for Hope 2016 sponsored by the Hilton Garden Inn in downtown Saskatoon! As basketball enthusiasts, we invite you and your family or a guest to join us for a great evening of casual celebration. If you’re not familiar with Hoops for Hope, this evening is perfect for you. If you’re a Hoops for Hope fan, come and help us celebrate! We’d love to see lots of youth at our event – players are encouraged to attend! If you have any questions please do contact us. We love hearing from you! Sunday, May 1st at 7:00 p.m.
Stellar prizes, freebies, join in fun and games or simply socialize and enjoy the band, The Banisters. Help us kick off Cystic Fibrosis Month and the Hoops for Hope 2016 Launch with a bang! Claim your FREE TICKET soon! 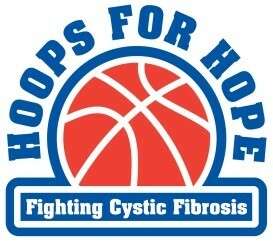 Visit www.hoopsforhope.ca to learn more about Hoops for Hope and cystic fibrosis.